Most of the time when hunting wildflowers I’m enjoying the solitude. A smile and nod is about all I exchange with passersby, unless someone addresses me. And I can be cagey when someone asks what I’m looking for, because you never know who will end up being a collector, and I don’t want people poaching these precious plants. 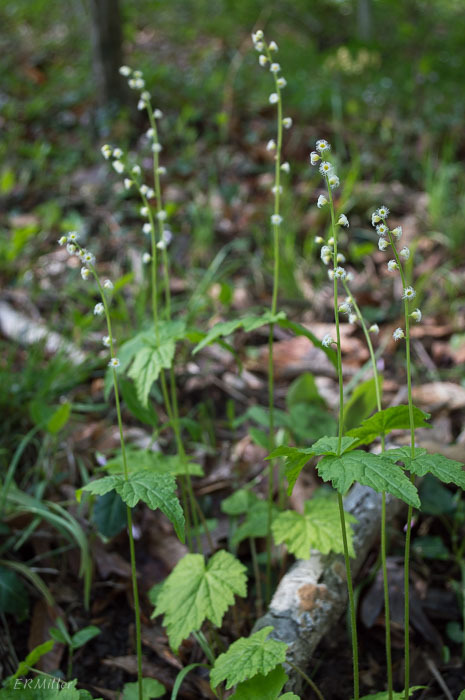 Twoleaf miterwort is in many ways an unremarkable plant, standing only a foot and a half tall, with a few basal leaves, a pair of stem leaves, and a raceme of tiny white flowers. I’d read about it, seen pictures, but never actually encountered it. That flower is less than a quarter inch wide. 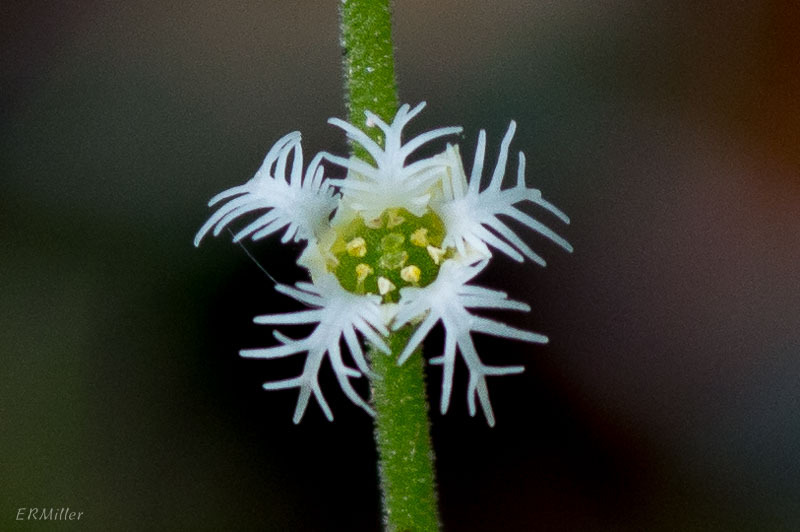 There are eleven species of Mitella in the US and Canada, but twoleaf miterwort is the only one found in Maryland. It prefers dappled sunlight to shade in moist to dry open woods. Thanks, Bill! It was nice meeting you. 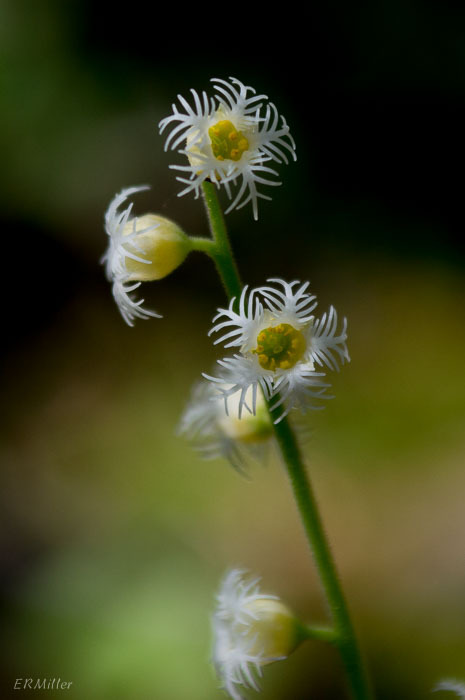 This entry was posted in Uncategorized and tagged bishop's cap, Mitella, Saxifragaceae, twoleaf miterwort by elizabeth. Bookmark the permalink.